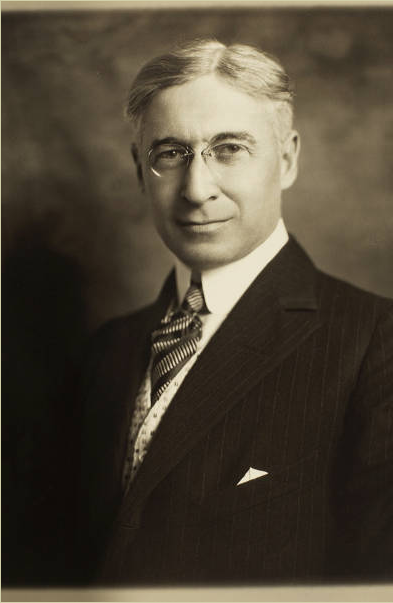 I have been asked to write a series of blogs about Bernard M. Baruch to supplement the information available through the new Hobcaw Barony website (www.betweenthewaters.org). As a member of the Baruch College faculty and as an advisor to the Between the Waters Project I am honored to write about Bernard. One of the many topics and ideas Bernard wrote about was the difference between man-made laws and natural laws. An important distinction between these two sets of laws is that we can control statutory laws and change them to suit our needs but natural laws are beyond our control. How many people have tried to change the law of life’s cycle and failed? Take, for example the natural law that you are born and eventually die. How about the age-old goal of controlling the weather? Natural laws produce equilibrium in nature – pollute a river but if the pollution stops over time the river will recover. Break the predator/prey relationship and chaos results. A classic example involves the killing of the wolves in Yellowstone Park in the 1930s, resulting in the uncontrolled growth of the elk population that reduced much of the vegetation, browsing heavily in the winter on young willow, aspen and cottonwood plants. That was tough for beavers, which need willows to survive in winter. In 1999 wolves were reintroduced in Yellowstone and the process of rebalancing started (to learn about this go to http://www.yellowstonepark.com/wolf-reintroduction-changes-ecosystem/). Bernard Baruch’s advice was to recognize the laws of nature and adapt to them. In a commencement address at Union College in 1937, he said, “Savages crouched in terror of lightning. Benjamin Franklin harnessed it. We can’t prevent floods, but we can impound them to serve us with the power of a hundred horses. When man found he could not walk on water, he did not accept the law of buoyancy as an obstacle. He invented boats and made it an aid.” This notion of balance and adaptation is also reflected in Bernard’s role as international statesman. At the end of World War I, he urged Great Britain and France to avoid imposing such severe penalties on Germany so as to humiliate and cripple their economy because he believed such action would lead to World War II. He was right –once again, man trying to impose his will on another leads to push-back. In this clip, “Bernard Baruch, Wilson and WWI” from Between the Waters on Vimeo, Dr. Dale Rosengarten discusses Baruch’s ideas on the potential consequences of penalties imposed on Germany after WWl. I bring up the idea of natural laws and the importance of understanding and adapting to them because it is an important guide to life – get to know others, respect them for who they are and avoid the biased judgments we too easily make. I also have focused on natural laws because Hobcaw Barony, Bernard M. Baruch’s home in South Carolina is an ecological wonderland – its 16,000 acres encompass a rich diversity of every common ecosystem found on the South Carolina coast, making this an unparalleled site for research in the environmental sciences. It is fitting that Bernard chose not to develop Hobcaw Barony, but to leave it in its natural state and to ultimately transfer it to his daughter Belle, who clearly stated her intentions to preserve this nature land jewel. And so she did. In this clip “Hobcaw Barony Rice Canals” from Between the Waters on Vimeo, a drone flies over the remnant rice canals at Hobcaw Barony, revealing the vastness of the undeveloped landscape. 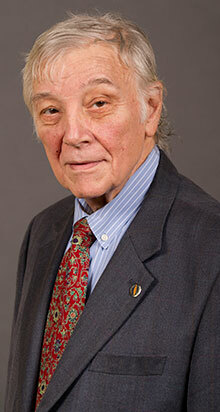 Dr. Stan Altman is currently a professor at Bernard M. Baruch College’s School of Public Affairs. He is the campus director of the Nonprofit Leadership Alliance for preparing students for careers in the non-profit and leads the partnership between Baruch College and the Rubin Museum of Art. Trained as an engineer, Dr. Altman was one of an early vanguard of professionals with strong applied mathematics and engineering backgrounds who chose to apply their skills to the delivery of public services. Dr. Altman holds a doctorate in Systems Science from the Polytechnic Institute of Brooklyn, a Master of Science in Electrical Engineering from Purdue University, and a BEE from City College. ← What’s Next for SCETV’s Between the Waters Project?